Inspired by one of the most independent women of 1950s Hollywood, the Lupino Bar Chair represents the golden era of film. A strong and elegant woman, Ida Lupino was both a talented actress and offscreen director – the only woman at that time to do so! 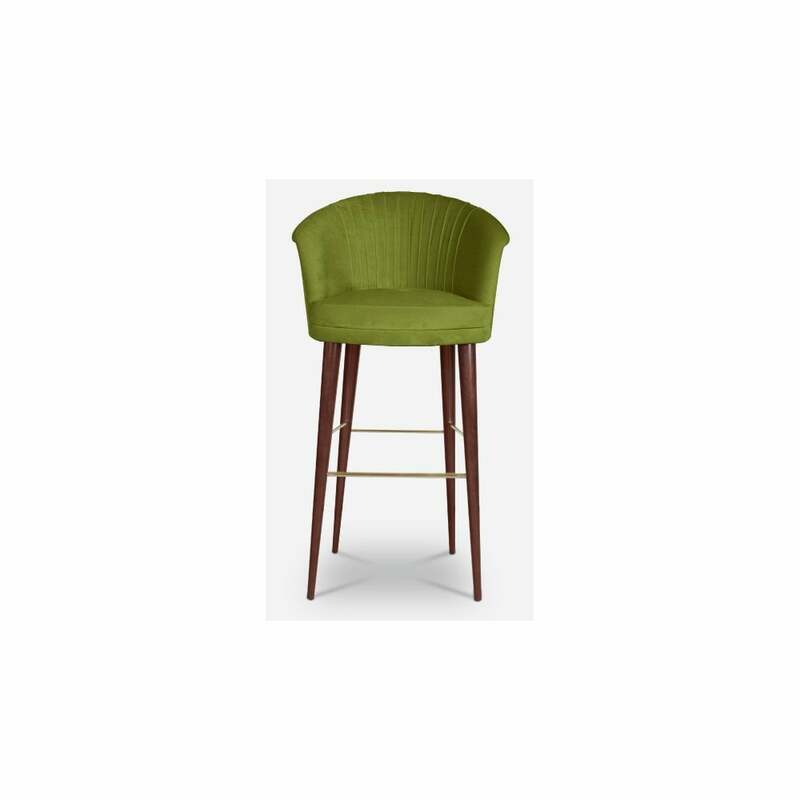 With its solid walnut legs finished with high gloss varnish, luxurious cotton velvet upholstery and polished brass accents, the Lupino bar chair will make a glamorous addition a modern living space. Part of the Century Collection by Ottiu, the Lupino Bar Chair is a must-have piece for your home interior or hospitality project. This expertly crafted bar chair also looks beautiful behind a kitchen island paired with marble counter tops and brass fixtures. Make an enquiry for more information.